In RxJava it is not difficult to get into a situation in which an Observable is emitting items more rapidly than an operator or subscriber can consume them. This presents the problem of what to do with such a growing backlog of unconsumed items. For example, imagine using the zip operator to zip together two infinite Observables, one of which emits items twice as frequently as the other. 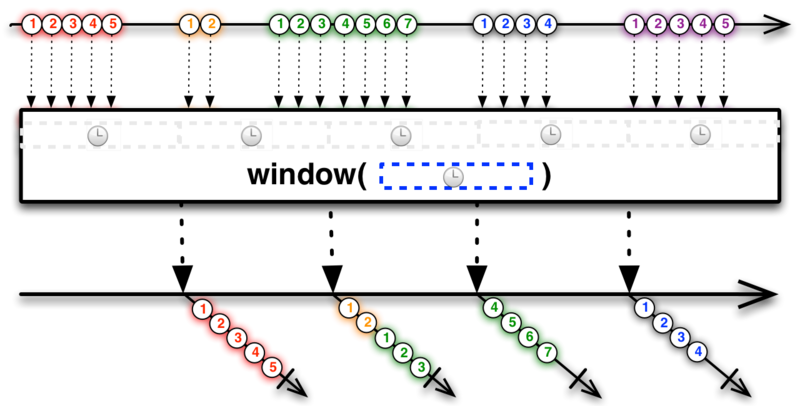 A naive implementation of the zip operator would have to maintain an ever-expanding buffer of items emitted by the faster Observable to eventually combine with items emitted by the slower one. This could cause RxJava to seize an unwieldy amount of system resources. There are a variety of strategies with which you can exercise flow control and backpressure in RxJava in order to alleviate the problems caused when a quickly-producing Observable meets a slow-consuming observer. This page explains some of these strategies, and also shows you how you can design your own Observables and Observable operators to respect requests for flow control. 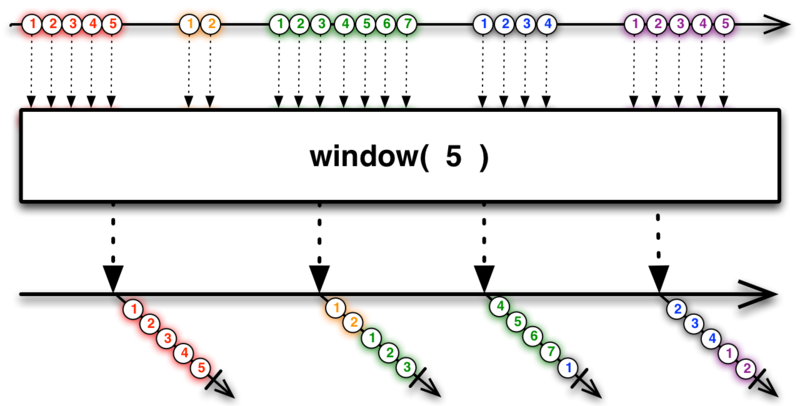 A cold Observable emits a particular sequence of items, but can begin emitting this sequence when its Observer finds it to be convenient, and at whatever rate the Observer desires, without disrupting the integrity of the sequence. For example if you convert a static Iterable into an Observable, that Observable will emit the same sequence of items no matter when it is later subscribed to or how frequently those items are observed. Examples of items emitted by a cold Observable might include the results of a database query, file retrieval, or web request. A hot Observable begins generating items to emit immediately when it is created. Subscribers typically begin observing the sequence of items emitted by a hot Observable from somewhere in the middle of the sequence, beginning with the first item emitted by the Observable subsequent to the establishment of the subscription. Such an Observable emits items at its own pace, and it is up to its observers to keep up. Examples of items emitted by a hot Observable might include mouse & keyboard events, system events, or stock prices. When a cold Observable is multicast (when it is converted into a ConnectableObservable and its connect() method is called), it effectively becomes hot and for the purposes of backpressure and flow-control it should be treated as a hot Observable. Cold Observables are ideal for the reactive pull model of backpressure described below. 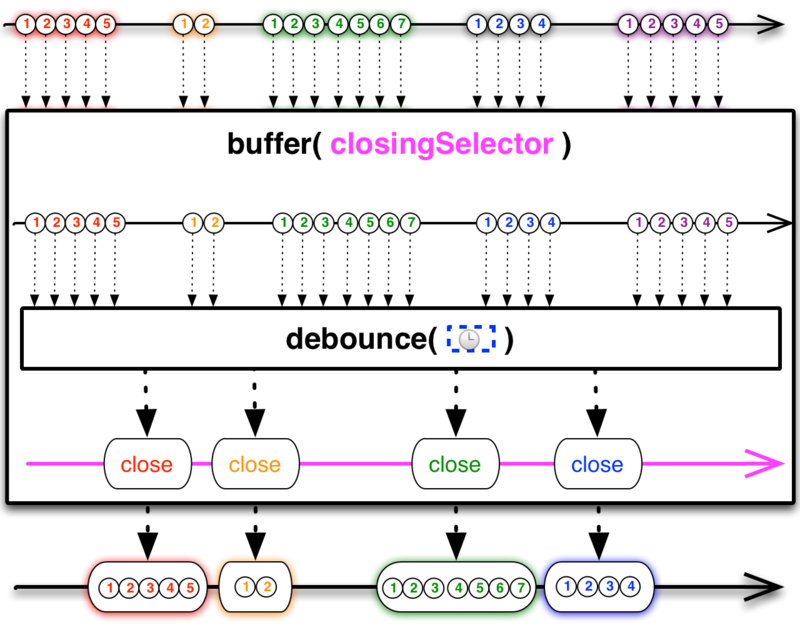 Hot Observables typically do not cope well with a reactive pull model, and are better candidates for some of the other flow control strategies discussed on this page, such as the use of the onBackpressureBuffer or onBackpressureDrop operators, throttling, buffers, or windows. By fine-tuning the parameters to these operators you can ensure that a slow-consuming observer is not overwhelmed by a fast-producing Observable. Operators like sample( ) or throttleLast( ), throttleFirst( ), and throttleWithTimeout( ) or debounce( ) allow you to regulate the rate at which an Observable emits items. The following diagrams show how you could use each of these operators on the bursty Observable shown above. You can also use an operator like buffer( ) or window( ) to collect items from the over-producing Observable and then emit them, less-frequently, as collections (or Observables) of items. The slow consumer can then decide whether to process only one particular item from each collection, to process some combination of those items, or to schedule work to be done on each item in the collection, as appropriate. Another way of handling an overproductive Observable is to block the callstack (parking the thread that governs the overproductive Observable). This has the disadvantage of going against the “reactive” and non-blocking model of Rx. However this can be a viable option if the problematic Observable is on a thread that can be blocked safely. Currently RxJava does not expose any operators to facilitate this. If the Observable, all of the operators that operate on it, and the observer that is subscribed to it, are all operating in the same thread, this effectively establishes a form of backpressure by means of callstack blocking. But be aware that many Observable operators do operate in distinct threads by default (the javadocs for those operators will indicate this). When you subscribe to an Observable with a Subscriber, you can request reactive pull backpressure by calling Subscriber.request(n) in the Subscriber’s onStart() method (where n is the maximum number of items you want the Observable to emit before the next request() call). // do something with the emitted item "n"
You can pass a magic number to request, request(Long.MAX_VALUE), to disable reactive pull backpressure and to ask the Observable to emit items at its own pace. request(0) is a legal call, but has no effect. Passing values less than zero to request will cause an exception to be thrown. Backpressure doesn’t make the problem of an overproducing Observable or an underconsuming Subscriber go away. It just moves the problem up the chain of operators to a point where it can be handled better. Let’s take a closer look at the problem of the uneven zip. You have two Observables, A and B, where B is inclined to emit items more frequently than A. When you try to zip these two Observables together, the zip operator combines item n from A and item n from B, but meanwhile B has also emitted items n+1 to n+m. The zip operator has to hold on to these items so it can combine them with items n+1 to n+m from A as they are emitted, but meanwhile m keeps growing and so the size of the buffer needed to hold on to these items keeps increasing. You could attach a throttling operator to B, but this would mean ignoring some of the items B emits, which might not be appropriate. What you’d really like to do is to signal to B that it needs to slow down and then let B decide how to do this in a way that maintains the integrity of its emissions. The reactive pull backpressure model lets you do this. It creates a sort of active pull from the Subscriber in contrast to the normal passive push Observable behavior. The zip operator as implemented in RxJava uses this technique. It maintains a small buffer of items for each source Observable, and it requests no more items from each source Observable than would fill its buffer. Each time zip emits an item, it removes the corresponding items from its buffers and requests exactly one more item from each of its source Observables. If you do not apply any of these operators to an Observable that does not support backpressure, and if either you as the Subscriber or some operator between you and the Observable attempts to apply reactive pull backpressure, you will encounter a MissingBackpressureException which you will be notified of via your onError() callback.